Timothy Langley – Jarman International K.K. Favorite Thing About Living in Japan: There is so much to like and love about living in Japan… including the complexity that confronts everyone. Tokyo is the greatest city, always vibrant and dynamic. Society also moves at a remarkable pace, and the constant refurbishment of the city. Favorite Place to Visit in Japan: Onsen! Sento! Sauna! 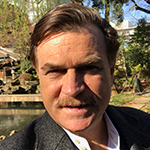 BIO: With more than 30 years of professional experience in Japan Public Affairs, Timothy made his name by combining a comprehensive understanding of international law with an exceptional perspective gained from a career spent getting the impossible done in Japan. Known as the first foreigner in the Japan National Diet (aide to former Japan Foreign Minister Taro Nakayama), Timothy is an insider specialist in Japan’s political landscape. He has successfully handled projects as political attaché for U.S. presidents, foreign diplomats and is best known as an enabler for foreign corporations in Japan. He was General Counsel for Apple Computer Japan and likewise for General Motors Asia-Pacific. Originally from Atlanta, Georgia, Timothy is arguably one of Tokyo’s most well connected expatriates.